On the 17th January, 2017 leading Internet Service Providers (ISPs) in the UK will start sending out notices warning customers that content they have downloaded or are sharing is copyrighted material and is against the law. Contact will be made via email with the messages being dubbed “educational letters” aimed at informing users that their actions are breaking the law. The leading UK ISPs including Virgin Media, Sky, TalkTalk and BT have agreed to contact customers who are identified as accessing illegal material in an effort to appease the UK government’s piracy crackdown. The emails will contain the user’s phone number, a message informing them of the reason for the contact and a list of illegal material that has been downloaded. Most worryingly this latest action makes it clear that your download habits are being monitored and anything you or anyone else accessing your internet connection downloads can and is being logged. More concern should be raised by the fact that contact will be made via email which is an insecure and unencrypted method of communication which will contain the subscriber’s phone number and the content downloaded. It could be possible for a nefarious hacker to intercept such emails or access a customer’s email account and then use the content of the message to blackmail users either by impersonating a legal firm or movie studio or by threatening to reveal the content that was downloaded to other family members should it be adult in nature. Users afraid of receiving such letters or who are concerned by the fact their ISP can monitor what they download and do online should take steps to protect their online privacy. By using a tool called a VPN users of the ISPs in question can encrypt their entire internet connection so it is impossible to monitor what websites they visit, what they download and what they do online. VPN providers such as IPVanish store no traffic logs which means what a user downloads remains private and there is no history of the download retained. The scheme running under the “Get it Right from a Genuine Site” title aims to direct users to legal sources of content rather than illegal ones which are usually associated with torrents and P2P systems. 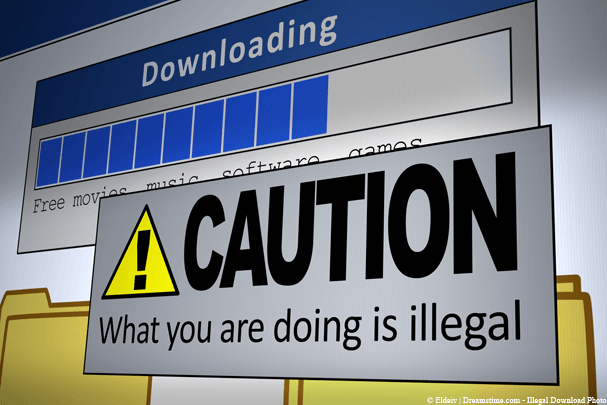 Reports suggest that Get it Right monitor torrent networks for users downloading illegal material. Each user’s internet connection is assigned an IP Address and it is from this that Get it Right are able to link the download to the household or connection that is responsible. Through ISPs logs it is easy to determine which user was assigned which IP Address at any given time and from this they are then able to trigger the educational letter. Recently launched website I Know What You Download which allows users to tap in any IP Address and see what has been downloaded shows that accessing torrents directly from a home connection is unsafe and the only way to ensure a user’s privacy is for them to use a VPN service such as those mentioned earlier in this article. As many users have moved to direct streaming services or other sources of material such as the popular Kodi system the number of users who will fall victim to such contact has lessened. However for those users that still make use of torrents and P2P networks the only way to avoid receiving such a letter is to protect their privacy with a VPN.